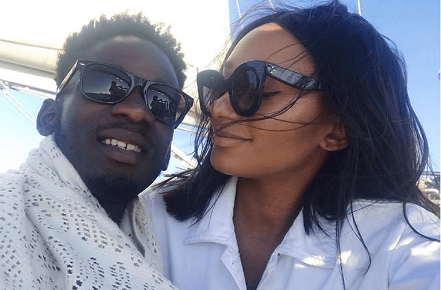 Mr Eazi in a chat with HipTv has explained the highlight of his year and says aside from his hits, dating Billionaire Femi Otedola’s daughter, Temi is also one of the best things that happened to him. “I think at the end of the day it is still all love. For instance, I’m just coming straight from Benin, which we shut down. What I saw there, I didn’t know people partied on Wednesdays." “I was so shocked the DJ had more Mr Eazi songs than my DJ. So after I had finished performing, the DJ continued playing songs. It just goes to show that there is still love and it is just teasing" he said. On being criticized for running out of hit songs and recycling old ones during performances, Mr Eazi said; “I think it can be some people’s opinion but if you go out, I’m still performing those songs. I dropped my mixtape in February, and the plan was to promote the mixtape. And I have toured the world with the mixtape,” he said. “It is one of the highlights of my year. It’s been one of the nicest things to happen to me this year. You know love is sweet. At least I have more inspiration for plenty songs." “So don’t be shocked that my new songs are going to be love-based,”he said.